CAE announced today, on the eve of Helitech International, that its Airbus Helicopters H225 full-flight simulator (FFS) located in its Olso, Norway, training centre was qualified to Level D, the highest qualification for flight simulators by the European Aviation Safety Agency (EASA), and is now ready for training. The H225 training program, conveniently located adjacent to Oslo's Gardermoen Airport, offers initial and recurrent training as well as mission specific training for offshore oil and gas, search and rescue (SAR) and military operating profiles. The CAE 3000 Series full-flight simulator is equipped with the CAE Tropos 6000 visual system and uses Airbus Helicopters' original data package, providing unprecedented level of realism for pilot mission training. The CAE Oslo training centre is scheduled to become an Airbus Helicopters Approved Simulation Centre later this year. "We are proud to partner with Airbus Helicopters to bring the first high-fidelity H225 training solution to the Scandinavian market," said Nick Leontidis, CAE's Group President, Civil Aviation Training Solutions. "We look forward to continuing our relationship with Airbus Helicopters as we grow additional programs to meet the training needs of Airbus Helicopters' customers worldwide." 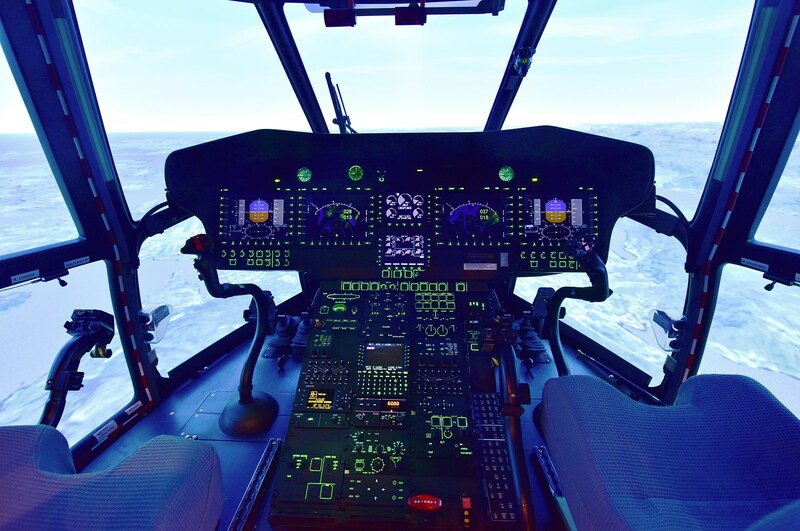 "This new simulator reaffirms Airbus Helicopters' efforts towards enhancing flight safety in the particularly harsh environment encountered in the North Sea," said Matthieu Louvot, Airbus Helicopters Senior Vice President Support & Services. "The H225 program leverages the safest and most innovative technologies, and is close to our customers' bases of operation." Airbus Helicopters is a division of Airbus Group. The company provides the most efficient civil and military helicopter solutions to its customers who serve, protect, save lives and safely carry passengers in highly demanding environments. Flying more than 3 million flight hours per year, the company's in-service fleet includes some 12,000 helicopters operated by more than 3,000 customers in 152 countries. Airbus Helicopters employs more than 23,000 people worldwide and in 2014 generated revenues of 6.5 billion Euros. In line with the company's new identity, fully integrated into Airbus Group, Airbus Helicopters has renamed its product range replacing the former "EC" designation with an "H".